^ Rohrlich, Justin. Who Created The Windows Start-Up Sound?. Minyanville's Wall Street. 2010-05-25 [2013-06-18]. ^ Joel Selvin, Chronicle Pop Music Critic. 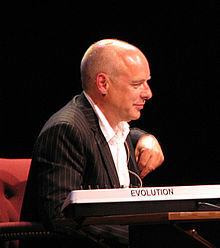 Q and A With Brian Eno. 舊金山紀事報. 1996-06-02 [2012-06-19].